A Penguin in Breathitt County?? Yes you read correctly. There was a penguin in Breathitt County, Kentucky! One of the penguins from Madagascar took another side trip and ended up in Jackson, Kentucky. Okay…..that may not be correct but it sure sounded funny. There really was a penguin in Jackson but it didn’t talk and was never stranded on an island with King Julien. We were on our way back from vacation and I was scrolling through Facebook (hello my name is Kirstie and I am a Facebook addict). 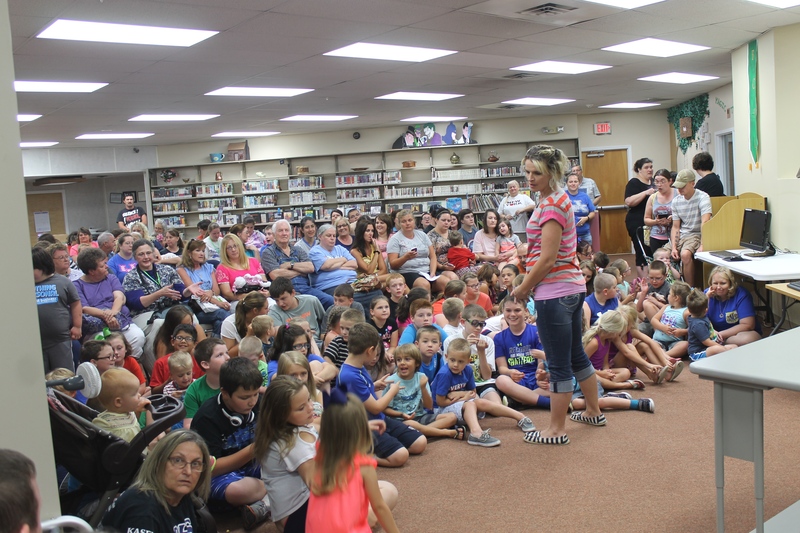 I noticed an event called, “Penguins and Scales and Tails Program” by the Breathitt County Public Library. This intrigued me….so of course I had to investigate. Upon further investigation I learned the program was being put on by the Newport Aquarium and that they were bringing real animals! I knew I had to take the kids. How awesome to be able to drive 30 minutes and see a penguin? Little did we know that they would have other animals too. This made it more exciting! We weren’t even home from vacation yet and found another awesome activity for the kids. Oh yeah I forgot to mention it was FREE! If you’ve read any of my other posts you know I love finding free activities for the kids to do. Free=easy on your pocket/bank account. This was the crowd to see the animals. After taking this about 15 more kids arrived. What a turnout! To start the program they brought out some of the penguins friends. The kids actually got to pet Blueberry! 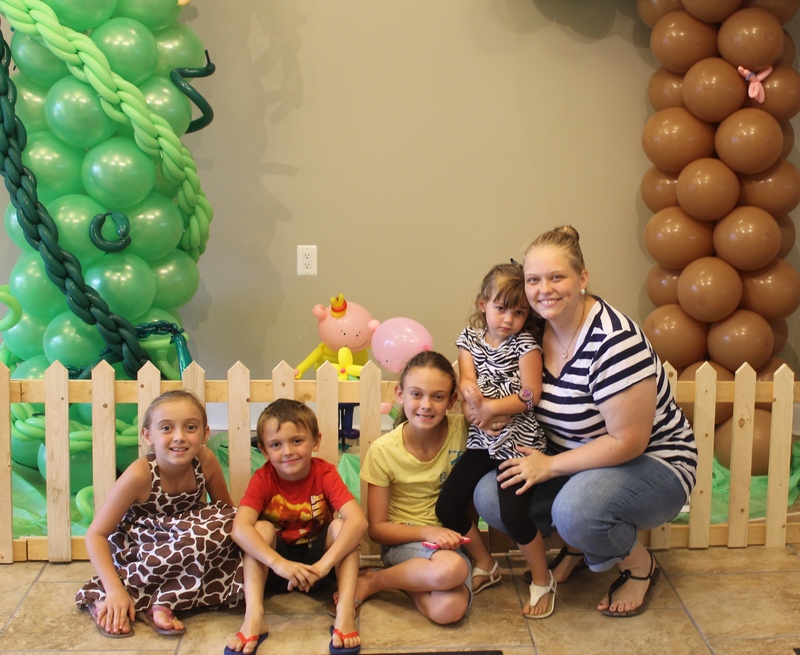 I would like to give the Breathitt County Public Library a big kuddos for hosting and offering this fun event for kids and families in this area. The majority of the kids who attended will probably never be able to make it to the Newport Aquarium to see these animals ever again. Not to mention if you go to the aquarium you can not interact with the penguins unless you pay extra. We live in an area where sometimes children are deprived of getting to see museums and places like the Newport Aquarium. Not only is the admission unreasonable for those who live on fixed incomes, but the gas there and back and food would break them. 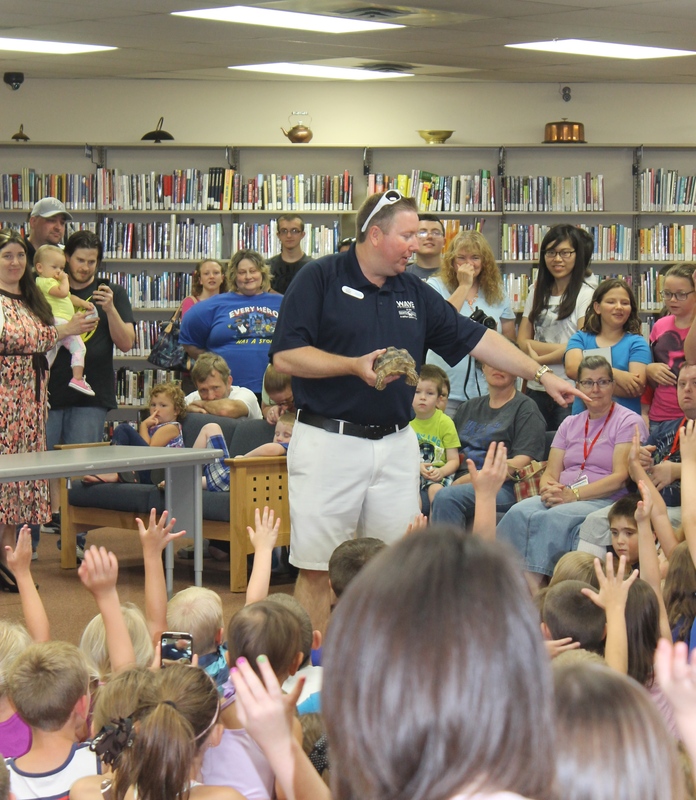 Programs such as the “Penguins and Scales and Tails” are perfect for families in Eastern Kentucky! They are brought to them in their counties and are free. We should all thank the BCPL for their good deed of exposing our kids to things they have never seen/may never see in person. 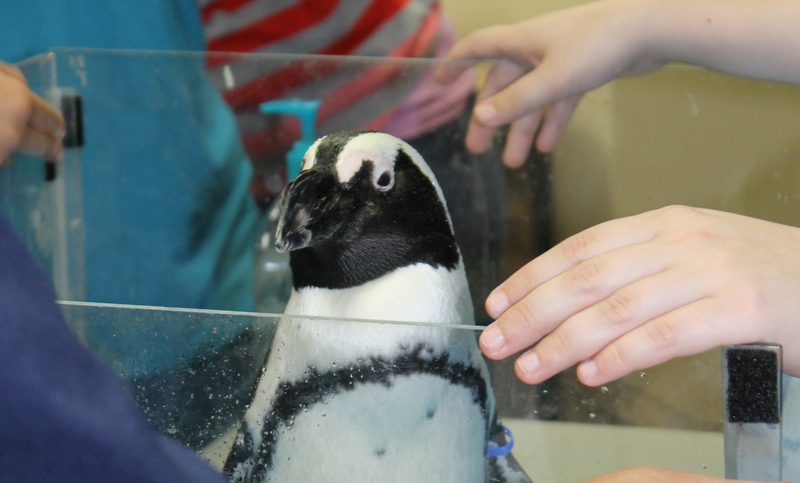 My kids had a great time getting to learn about the different animals and of course getting to pet a cute penguin. 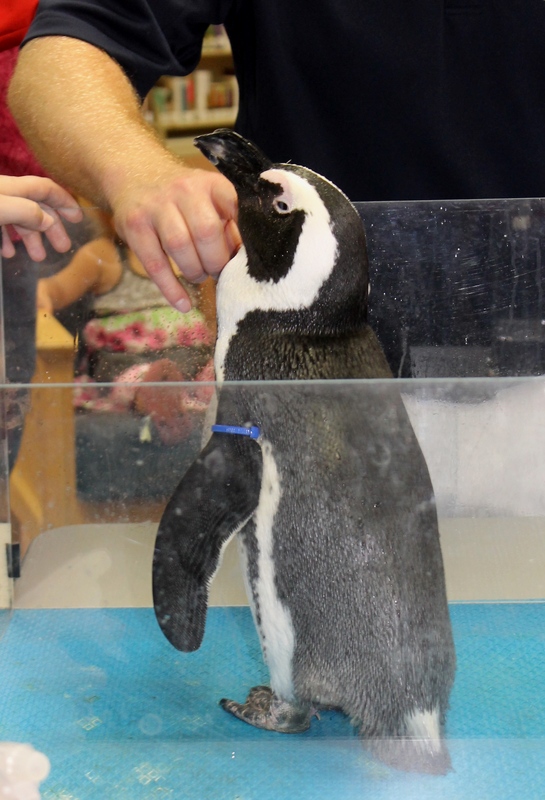 Did you miss the Penguins and Scales and Tails Program? Guess what?? 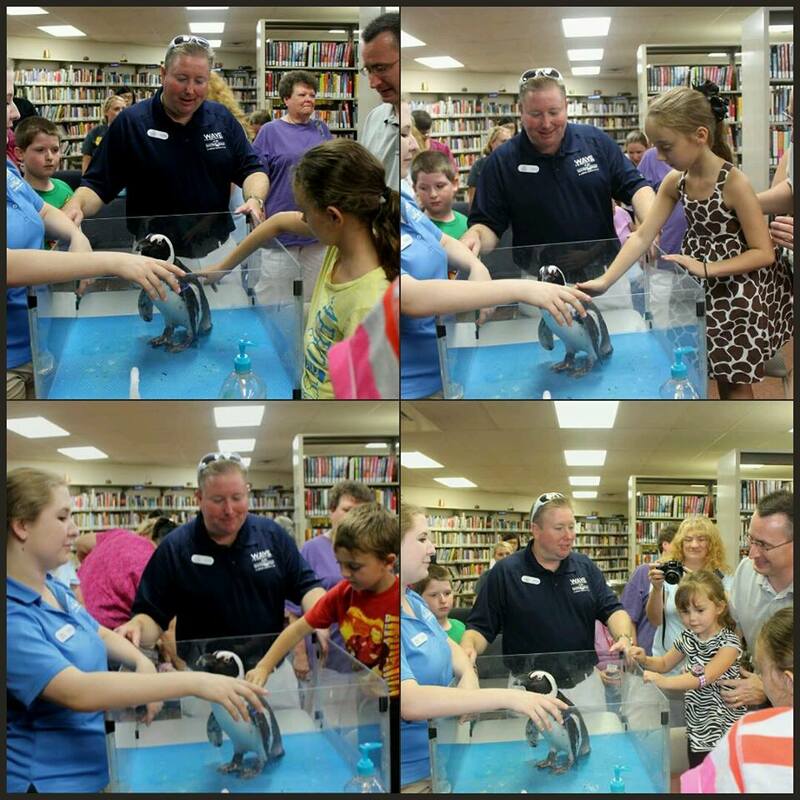 The WAVE Program will be bringing a Mobile Shark Tank on Tues. July 28 from 11:00 a.m.-12:00 p.m. to the Breathitt County Public Library. There will be a live shark!! Click here for the event information. 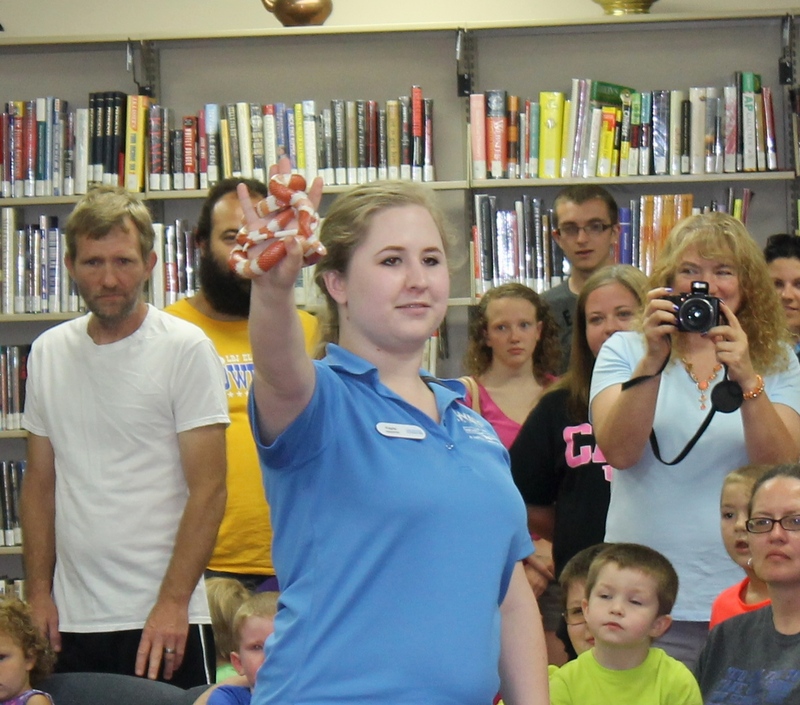 Want to keep up with events held at the Breathitt County Public Library? Like them on Facebook here or visit their website here. 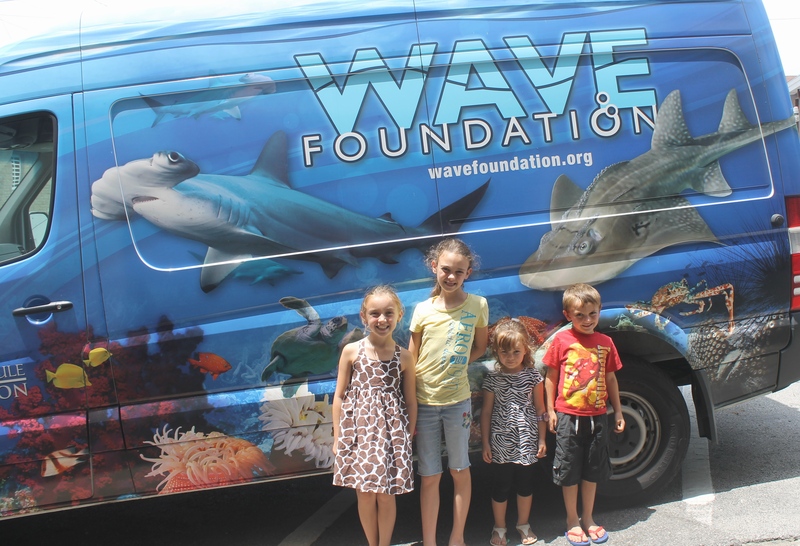 Want to learn about the Newport Aquarium’s WAVE on Wheels Outreach Program? Visit their website here for more information. 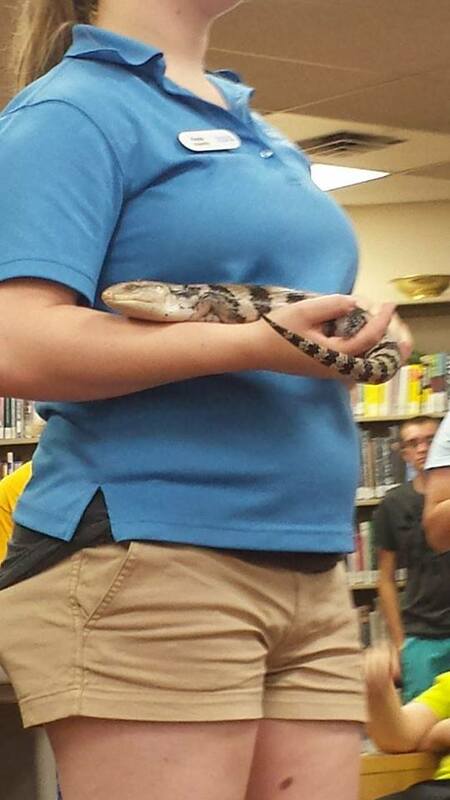 Again great job to the Breathitt County Public Library for offering this fun/exciting program…..my kiddos loved it! Awe, I want to pet a penguin…. looks like fun!! !